Tuesday Nov. 28 is Giving Tuesday, a day every year when charities and non-profits ask for your generosity, to support them in their work benefitting others. 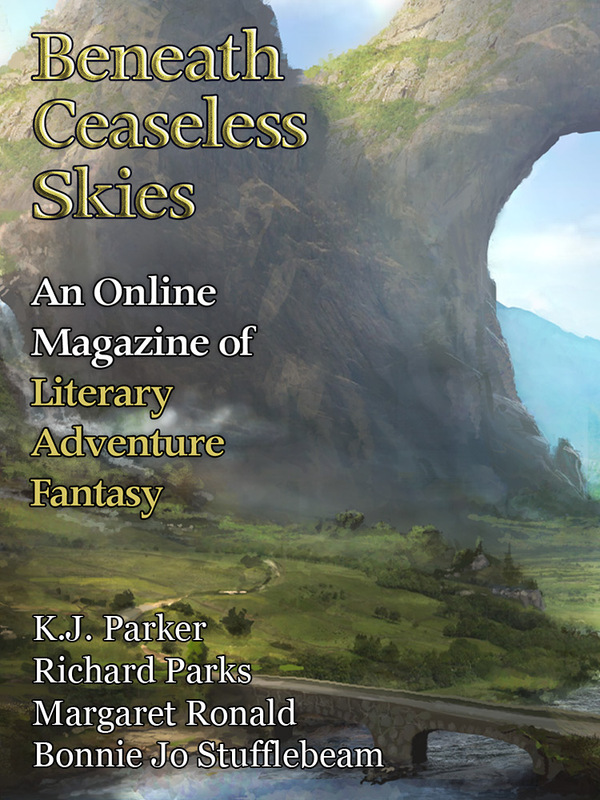 Beneath Ceaseless Skies is a non-profit. Our parent company, Firkin Press, has 501c3 tax-exempt status from the IRS, to promote SF/F short fiction as literature. This does not come cheaply. We publish 55 stories and 25 podcasts every year. We read hundreds of submissions every month, and write personalized replies to all of them. Our staff give countless hours of their time, but we depend on ebook sales and reader donations to pay our authors and artists. On this Giving Tuesday, please consider donating to BCS. We welcome all donations, of any amount; one-time donations or smaller regular donations. Because we are a 501c3 approved by the IRS, donations are tax-deductible as allowed by U.S. law. To make a small regular donation every month, click the Paypal “Subscribe” button for the monthly amount you’d like to donate. With your permission, we will proudly include your name or a pseudonym on our list of Donors. Or you can stay totally anonymous. For more information, see our Donor Information page. Thank you very much for your support of BCS! As we posted, BCS has raised our pay rate to 6 cents/word, which is the new ‘pro’ rate set by the Science Fiction and Fantasy Writers of America (SFWA). We have received many emails from readers concerned about the impact this higher rate will have on BCS. Thank you for your concern! We do publish more stories than most all online magazines–55 full-length pieces in 2013, all originals. And we publish more longer stories than most all online magazines–14 novelettes in 2013, out of those 55 total. This pay increase is an opportunity to remind our readers, authors, and fans that BCS is supported primarily by donations. If you would like to join the BCS readers and fans who have made a donation to help us meet the cost of this pay rate increase, we would be delighted to have your support. Click here for donation information. Because we are a non-profit organization, granted tax-exempt 501c3 status by the U.S. Internal Revenue Service, donations are tax-deductible (consult a tax professional). We will proudly list your name on our Donors page (or keep your name anonymous, as you wish). If you would like to buy our ebooks, that too is a great way to support us. Our BCS anthologies are available on Kindle, B&N Nook, Kobo, and at Weightless Books. Our single issues are available on Kindle and at Weightless Books, and the BCS ebook subscription–26 issues, a whole year, for only $13.99–is available at Weightless Books. Ebooks go on sale a week before the issue appears on the website, and ebook subscribers get new issues a week early. All donations and ebook proceeds go directly to pay our authors and artists for their work. Thank you to our readers and donors for your concern for us regarding this rate increase, and thank you to all our readers, authors, and fans for your support! The BCS one-year ebook subscription, available exclusively at WeightlessBooks.com, was one of their Top 5 bestselling magazines for the first half of 2013! Thanks very much to all our subscribers, both previous and recent, for their support of BCS. You too can get BCS issues a week before they appear on the website, delivered straight to your email or smartphone/ tablet or addressable e-reader, a full year for only $13.99. That’s 26 issues–55 stories–for only 26 cents a story. Ebook sales are the magazine’s only source of revenue, apart from reader donations (which are tax-deductible because we are a 501c3 non-profit), so they are a great way to support BCS and get the stories early at the same time. We are grateful for your support. Best of BCS Year Three Anthology Sale Ends Today! The special sale on The Best of BCS, Year Three, our new ebook anthology featuring Richard Parks, Steve Rasnic Tem, and more, ends tonight! Buy it from WeightlessBooks.com by tonight, and we’ll send you a free ebook of your choice of our first two anthologies, Best of BCS Year One or Best of BCS Year Two. Get eighteen great BCS stories in a convenient ebook, plus a second BCS anthology for free, and support BCS at the same time! The Best of BCS, Year Three, our new ebook best-of anthology featuring Richard Parks, Steve Rasnic Tem, Margaret Ronald, Peter Darbyshire, Geoffrey Maloney, and more, is on special sale at Weightless Books through this Friday. The Best of BCS, Year Three has eighteen stories for only 3.99. And if you buy it from WeightlessBooks.com this week, we’ll send you a free ebook of your choice of our first two anthologies, Best of BCS Year One or Best of BCS Year Two. Get eighteen great BCS stories in a convenient ebook, plus a second BCS anthology for free, and support BCS at the same time. All proceeds from all our ebook sales go directly to paying our authors and artists. The BCS subscription sale, where all ebook subscription buyers get sent their choice of The Best of BCS, Year One or The Best of BCS, Year Two for free, ends Friday night! So if you want to get every issue of BCS early, or have them sent direct to your email or Kindle or any other device with an email address, or support us in paying for great fiction, and get a free BCS anthology while doing any/all of the above, act now! If we total at least 100 subscriptions during the sale, all new subscribers will be entered in a drawing for a free Kindle. See our ebook subscription partner WeightlessBooks.com for all the details. The BCS subscription sale, where all ebook subscription buyers get sent their choice of The Best of BCS, Year One or The Best of BCS, Year Two for free, ends this Friday, Oct. 12. A BCS ebook subscription is a great deal–a whole year/26 issues for only $13.99, about 25 cents per story. Ebook subscribers get issues early, before they are released on the website, and can have issues sent direct to their email or Kindle or any device with an email address. Subscribing is also a great way to support BCS; to help us pay our authors and artists. During this sale, you’ll get the free BCS anthology too, and if we sell at least 100 subscriptions, all new subscribers will be entered in a drawing for a free Kindle. 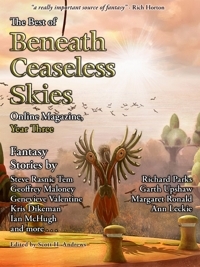 Get every issue early and sent right to your email or e-reader, get a free anthology, and support BCS at the same time! To celebrate the fourth anniversary of BCS and our new ebook anthology The Best of BCS, Year Three, we’re having a sale on ebook subscriptions and anthologies! If you buy an ebook subscription to BCS or a copy of The Best of BCS, Year Three from our subscription partner WeightlessBooks.com, for a limited time we’ll send you a free ebook of one of our first two anthologies, Best of BCS Year One or Best of BCS Year Two. Your choice, sent at the end of the sale. We’ve also dropped the price of Best of BCS Year Two to $2.99. And if we get at least 100 new or renewal subscribers during this sale, all those subscribers will be entered in a random drawing to win a free Kindle e-reader. 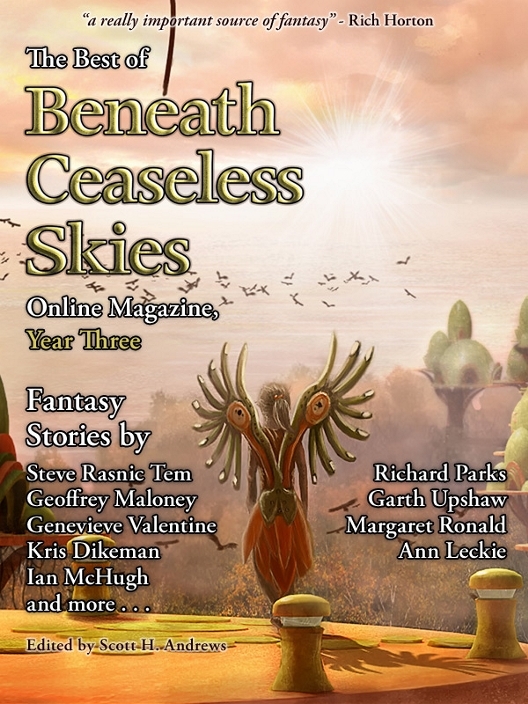 Best of BCS, Year Three has eighteen stories for only $3.99, including ones by Richard Parks, Margaret Ronald, Genevieve Valentine, Garth Upshaw, Adam Callaway, and World Fantasy Award-winner Steve Rasnic Tem. 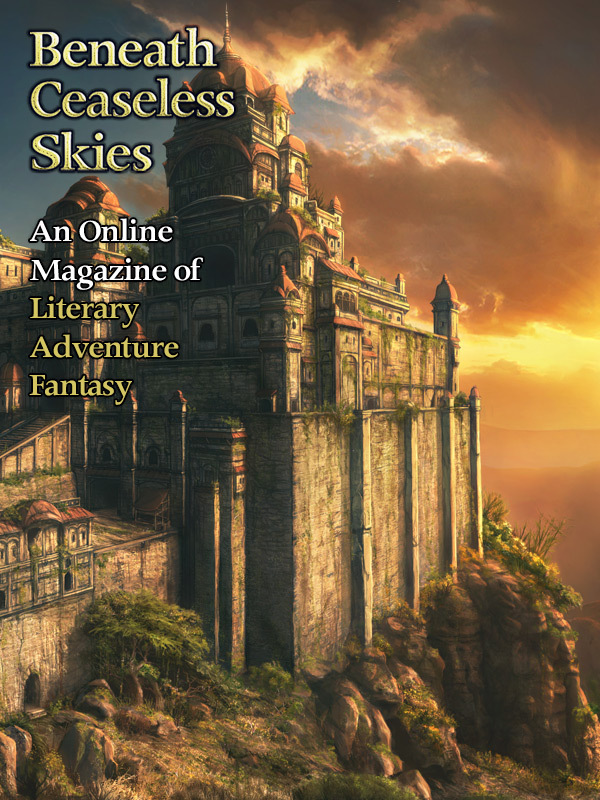 Ebook subscriptions are only $13.99 for 26 issues/52 stories (that’s 27 cents a story!). Subscribers will get our Fourth Anniversary Double-Issue, featuring Richard Parks and Marissa Lingen, including two stories which won’t be released on the website until a week later. Why should you buy an ebook subscription to BCS, when the stories are available on the website? The sale and the free Kindle giveaway will end in early October, so make sure you buy your subscription or Best of BCS Year Three at Weightless Books soon in order to get the free anthology. Thanks very much for your support!